15" rolls approximate width is 14.75" supplied from manufacturer. 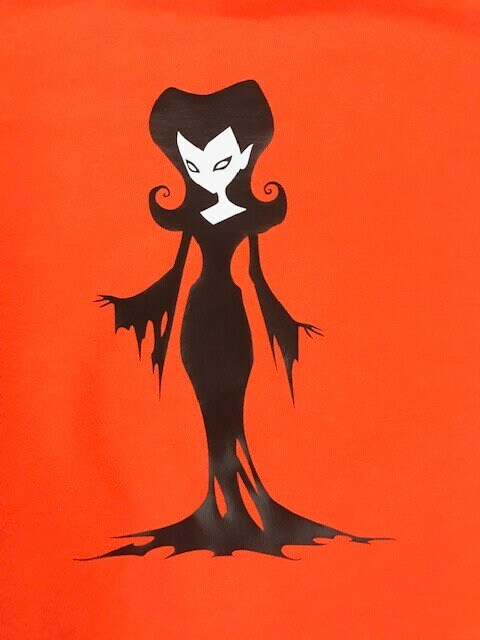 Leave a message with your color choices in the Note from Buyer section when checking out! Putting the “Performance” in Performance Wear. Performance wear has met its match! 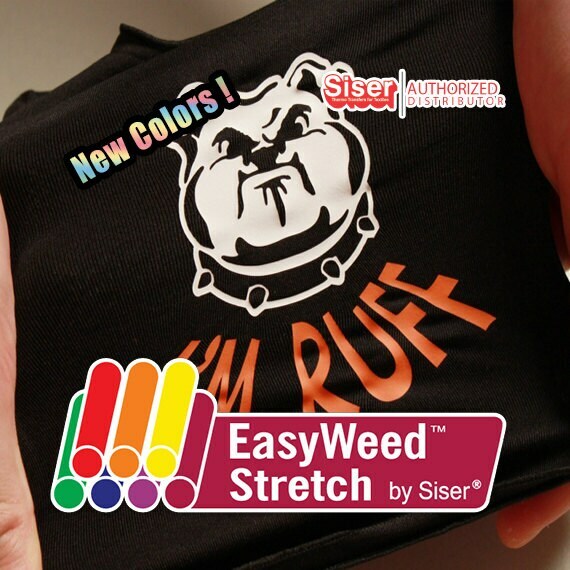 Siser EasyWeed™ Stretch delivers all the benefits of our EasyWeed™ heat transfer material and combines it with super stretchability to create one remarkable heat transfer material! 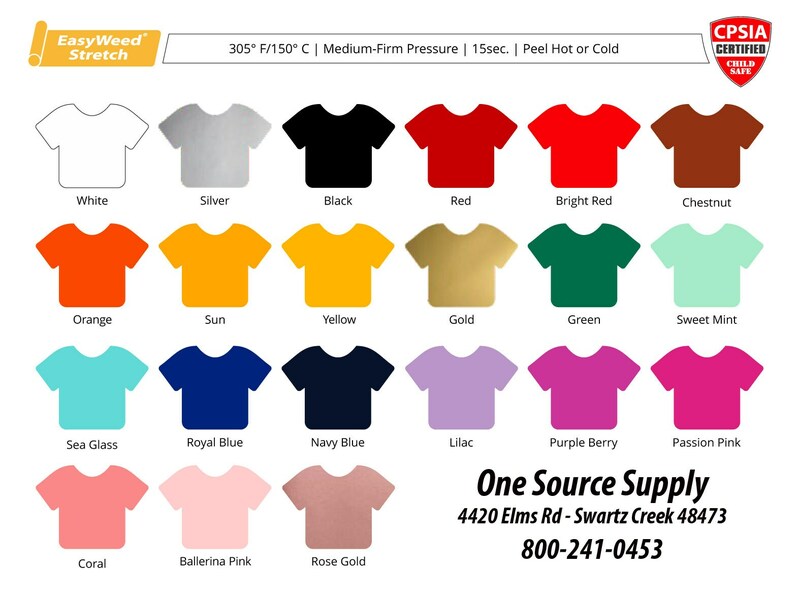 The thinnest of any Siser material, EasyWeed™ Stretch has an ultra-matte finish and a soft hand that’s available in 21 popular colors, including silver and gold. EasyWeed™ Stretch is laminated onto a pressure-sensitive carrier that allows for cutting and weeding detailed designs.